TAL DÍA COMO HOY SE ESTRENÓ "EL CONCIERTO DE VIOLÍN DE ALBAN BERG". TAL DÍA COMO HOY NACIÓ GERMAINE TAILLEFERRE. TAL DÍA COMO HOY NACIÓ SEBASTIÁN DURÓN. TAL DÍA COMO HOY NACIÓ GIACOMO CARISSIMI. TAL DÍA COMO HOY NACIÓ FRANZ VON SUPPÉ. TAL DÍA COMO HOY NACIÓ MIKLOS RÓZSA. TAL DÍA COMO HOY SE ESTRENÓ LA "MISSA SOLEMNIS", DE BEETHOVEN. TAL DÍA COMO HOY NACIÓ JEAN-FÉRY REBEL. TAL DÍA COMO HOY NACIÓ LEOPOLD STOKOWSKI. TAL DÍA COMO HOY NACIÓ CHAVELA VARGAS. TAL DÍA COMO HOY NACIÓ CHARLES CHAPLIN. TAL DÍA COMO HOY NACIÓ HENRY MANCINI. TAL DÍA COMO HOY SE ESTRENÓ "LA PASIÓN SEGÚN SAN MATEO", DE BACH. 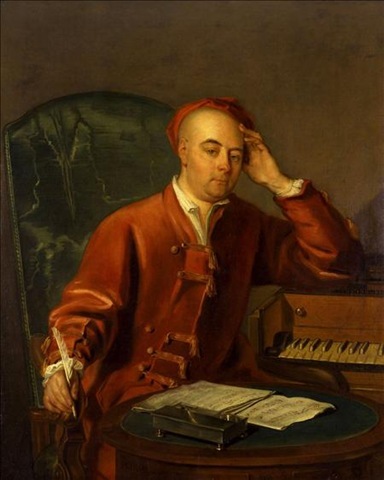 TAL DÍA COMO HOY, EN 1759, MURIÓ GEORG FRIEDRICH HÄNDEL. TAL DÍA COMO HOY SE ESTRENÓ "EL MESÍAS", DE HAENDEL. TAL DÍA COMO HOY MURIÓ GUILLAUME DE MACHAUT. TAL DÍA COMO HOY NACIÓ SINDO GARAY. TAL DÍA COMO HOY NACIÓ JOSEF LANNER. HOY CUMPLIRÍA 103 AÑOS ALBERTO GINASTERA. TAL DÍA COMO HOY SE ESTRENÓ "EIN DEUTCHES REQUIEM", DE BRAHMS. TAL DÍA COMO HOY NACIÓ FRANCESCO PAOLO TOSTI. TAL DÍA COMO HOY, EN 1692, NACIÓ EL COMPOSITOR GIUSEPPE TARTINI. TAL DÍA COMO HOY NACIÓ CHARLES BURNEY, QUE VIAJÓ POR TODA EUROPA RECOGIENDO IMPRESIONES MUSICALES, QUE PUSO POR ESCRITO EN VARIOS LIBROS. TAL DÍA COMO HOY NACIÓ EL GRECO. TAL DÍA COMO HOY SE ESTRENÓ LA PASIÓN SEGÚN SAN JUAN, DE BACH. TAL DÍA COMO HOY SE ESTRENÓ LA SINFONÍA 3 (HEROICA), DE BEETHOVEN. TAL DÍA COMO HOY NACIÓ RAVI SHANKAR. HOY SE CUMPLEN 48 AÑOS DE LA MUERTE DE ÍGOR STRAVINSKY. TAL DÍA COMO HOY NACIÓ JOHANN KUHNAU. TAL DÍA COMO HOY NACIÓ HERBERT VON KARAJAN. TAL DÍA COMO HOY NACIÓ LUDWIG SPOHR. 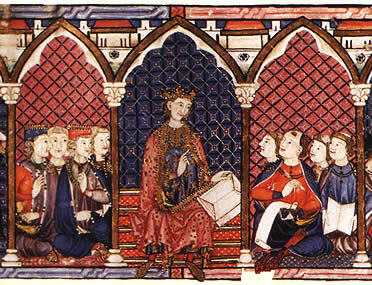 TAL DIA COMO HOY MURIÓ, EN 1284, ALFONSO X EL SABIO. TAL DÍA COMO HOY SE ESTRENÓ "EL MOLDAVA". TAL DÍA COMO HOY SE ESTRENÓ "ISRAEL EN EGIPTO", ORATORIO DE HAENDEL. HOY CUMPLE 72 SALVATORE SCIARRINO. TAL DÍA COMO HOY NACIÓ ELMER BERNSTEIN. TAL DÍA COMO HOY NACIÓ HANS CHRISTIAN ANDERSEN. 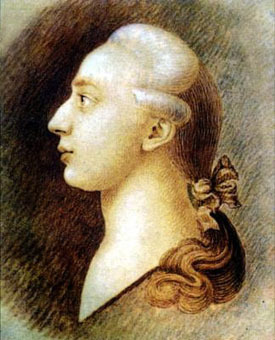 HOY SE CUMPLEN 194 AÑOS DEL NACIMIENTO DEL GRAN GIACOMO CASANOVA. ES AUTOR DE UNAS MEMORIAS, QUE ESTOY POR DECIR QUE ES EL LIBRO QUE HE DISFRUTADO MÁS LEYENDO. SU HUÍDA DE LA CÁRCEL DE LOS PLOMOS, EN VENECIA, Y SU ESTANCIA EN ESPAÑA SON DOS DE SUS GRANDES MOMENTOS. HOY SE CUMPLEN 145AÑOS DEL NACIMIENTO DE SERGUEI RACHMANINOV. HOY SE CELEBRA "EL DÍA INTERNACIONAL DE LA DIVERSIÓN EN EL TRABAJO". TAL DÍA COMO HOY NACIÓ NIKOLÁI GÓGOL. BASADA EN SU RELATO "LA NARIZ". TAL DÍA COMO HOY NACIÓ ABATE PRÉVOST. TAL DÍA COMO HOY SE ESTRENÓ "LA VIDA BREVE", ÓPERA DE MANUEL DE FALLA. TAL DÍA COMO HOY NACIÓ FERRUCIO BUSONI. TAL DÍA COMO HOY NACIÓ OCTAVIO PAZ. TAL DÍA COMO HOY NACIÓ SERGUÉI DIÁGUILEV. TAL DÍA COMO HOY NACIÓ RENÉ DESCARTES. TAL DÍA COMO HOY NACIÓ FRANZ JOSEPH HAYDN. TAL DÍA COMO HOY NACIÓ VINCENT VAN GOGH. TAL DÍA COMO HOY NACIÓ FRANCISCO DE GOYA Y LUCIENTES. TAL DÍA COMO HOY NACIÓ WILLIAM WALTON. TAL DÍA COMO HOY NACIÓ TETE MONTOLIU. TAL DÍA COMO HOY MURIÓ SERGUÉI RAJMÁNINOV. TAL DÍA COMO HOY MURIÓ MODEST MOUSSORGSKI. TAL DÍA COMO HOY NACIÓ MSTISLAV ROSTROPÓVICH. TAL DÍA COMO HOY NACIÓ FERDE GROFÉ. TAL DÍA COMO HOY NACIÓ RUPERTO CHAPÍ. TAL DÍA COMO HOY NACIÓ LEONARD NIMOY. TAL DÍA COMO HOY NACIÓ VICTOR FRANKL. TAL DÍA COMO HOY MURIÓ LUDWIG VAN BEETHOVEN. TAL DÍA COMO HOY MURIÓ HEINRICH ISAAC. HOY CUMPLE 72 ELTON JOHN. TAL DÍA COMO HOY NACIÓ ARETHA FRANKLIN. TAL DÍA COMO HOY NACIÓ CECIL TAYLOR. TAL DÍA COMO HOY NACIÓ ARTURO TOSCANINI. TAL DÍA COMO HOY MURIÓ EL GRAN CLAUDE DEBUSSY. TAL DÍA COMO HOY NACIÓ EL GRAN BÉLA BARTÓK. TAL DÍA COMO HOY NACIÓ MARÍA MALIBRÁN. TAL DÍA COMO HOY MURIÓ, JUNTO A SU ESPOSA, ENRIQUE GRANADOS. TAL DIA COMO HOY NACIÓ CRISTÓBAL HALFFTER. HOY CUMPLIRÍA 109 AKIRA KUROSAWA. TAL DÍA COMO HOY NACIÓ LEÓN MINKUS. HOY CUMPLE 70 ANDREW LLOYD WEBER. TAL DÍA COMO HOY NACIÓ STEPHEN SONDHEIM. TAL DÍA COMO HOY NACIÓ JOHANN SEBASTIAN BACH. HOY CUMPLE 70 SLAVOJ ZIZEK. TAL DÍA COMO HOY NACIÓ JEAN PAUL. TAL DÍA COMO HOY NACIÓ MODEST MÚSORGSKI. A CARGO DE KEITH EMERSON, RECIENTEMENTE FALLECIDO. TAL DÍA COMO HOY NACIÓ HENRIK IBSEN. 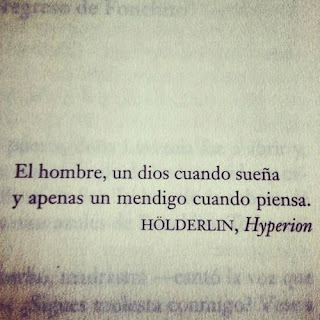 TAL DÍA COMO HOY NACIÓ FRIEDRICH HÖLDERLIN. TAL DÍA COMO HOY NACIÓ OVIDIO. TAL DÍA COMO HOY NACIÓ BERND ALOIS ZIMMERMANN. TAL DÍA COMO HOY NACIÓ TOBIAS SMOLLET. TAL DÍA COMO HOY NACIÓ MAX REGER. TAL DÍA COMO HOY NACIÓ STÉPHANE MALLARMÉ. TAL DÍA COMO HOY NACIÓ NIKOLÁI RIMSKI-KÓRSAKOV. TAL DÍA COMO HOY SE ESTRENÓ "NOCHE TRANSFIGURADA". TAL DÍA COMO HOY NACIÓ ELIS REGINA. TAL DÍA COMO HOY NACIÓ RUDOLF NURÉYEV. TAL DÍA COMO HOY NACIÓ NAT KING COLE. TAL DÍA COMO HOY NACIÓ ÉLISABETH JACQUET DE LA GUERRE. TAL DÍA COMO HOY NACIÓ EL GRAN JERRY LEWIS. TAL DÍA COMO HOY MURIÓ CHRISTOPHER TYE. TAL DÍA COMO HOY NACIÓ JOHANN HALVORSEN. 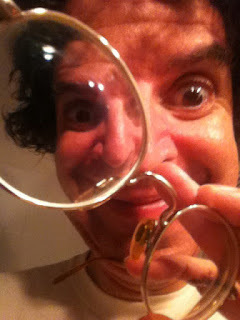 TAL DÍA COMO HOY NACIÓ ALBERT EINSTEIN. TAL DÍA COMO HOY NACIÓ JOHANN STRAUSS (PADRE). TAL DÍA COMO HOY NACIÓ EL GRAN GEORG PHILIPP TELEMANN. TAL DÍA COMO HOY NACIÓ WOLFGANG RIHM. TAL DÍA COMO HOY NACIÓ HUGO WOLF. TAL DÍA COMO HOY NACIÓ EL GRAN MIGUEL GILA. TAL DÍA COMO HOY MURIÓ JOHN BULL. TAL DÍA COMO HOY NACIÓ THOMAS AUGUSTINE ARNE. HOY CUMPLE 69 BOBBY MCFERRIN. HOY CUMPLE 79 ALBERTO CORTEZ. TAL DÍA COMO HOY NACIÓ TORQUATO TASSO. TAL DÍA COMO HOY SE ESTRENÓ "DON CARLO", ÓPERA DE GIUSEPPE VERDI. TAL DÍA COMO HOY SE ESTRENÓ "RIGOLETTO". TAL DÍA COMO HOY NACIÓ ASTOR PIAZOLLA. TAL DÍA COMO HOY NACIÓ HENRY COWELL. TAL DÍA COMO HOY NACIÓ BIX BEIDERBECKE. TAL DÍA COMO HOY NACIÓ LORENZO DA PONTE. TAL DÍA COMO HOY NACIÓ ARTHUR HONEGGER. TAL DÍA COMO HOY NACIÓ PABLO SARASATE. TAL DÍA COMO HOY NACIÓ RAQUEL MELLER. TAL DÍA COMO HOY SE ESTRENÓ "NABUCCO", ÓPERA DE GIUSEPPE VERDI. TAL DÍA COMO HOY NACIÓ SAMUEL BARBER. TAL DÍA COMO HOY NACIÓ CARL PHILIPP EMMANUEL BACH. TAL DÍA COMO HOY NACIÓ CARLO GESUALDO. TAL DÍA COMO HOY MURIÓ TOMÁS DE AQUINO. TAL DÍA COMO HOY NACIÓ ALEJANDRO GARCÍA CATURLA. TAL DÍA COMO HOY NACIÓ MAURICE RAVEL. TAL DÍA COMO HOY NACIÓ ALESSANDRO MANZONI. TAL DÍA COMO HOY NACIÓ GABRIEL GARCÍA MÁRQUEZ. TAL DÍA COMO HOY NACIÓ CYRANO DE BERGERAC. TAL DÍA COMO HOY NACIÓ MICHELANGELO BUONARROTI. Oda al bloc de notas del móvil. Carl Philipp Emanuel Bach. Una vida, una obra.